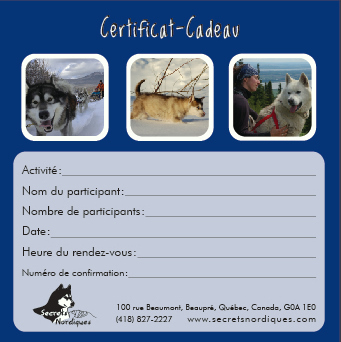 A great gift for all occasions, gift certificates are available for all activities and can be used anytime during the season. Call us at 418-827-2227 to purchase a gift certificate. 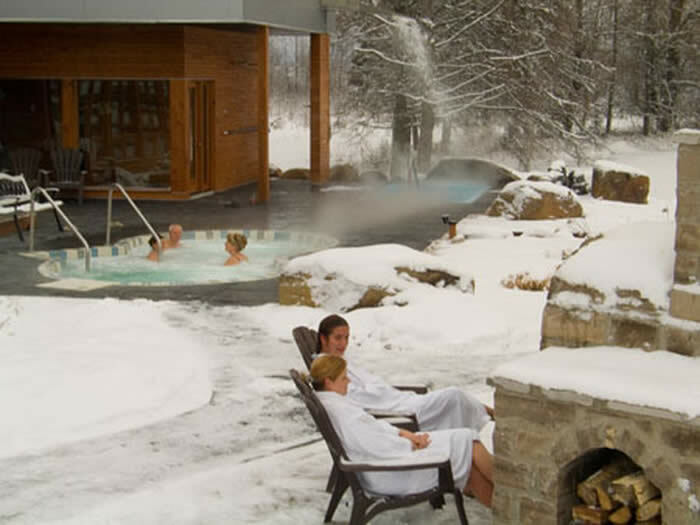 When you purchase a certificate you enjoy low-season rates all winter. We will send your certificate rapidly by email. First, you drive your own sled pulled by six huskies (DUO formula). Then, you hop into a gondola and are whisked to the top of Mont-Sainte-Anne where you will enjoy panoramic views of the icy St. Lawrence River. Wrap up your perfect day at your own pace by discovering the beauty of a snowy maple grove on snowshoes. Gondola: lift ticket to the top of the mountain in an enclosed gondola offering breathtaking views. Note: Meals are not included, we suggest having it at the restaurant atop the mountain. High seasons: From December 22th 2018 to January 7th 2018 and from February 10th to march 18th 2019. 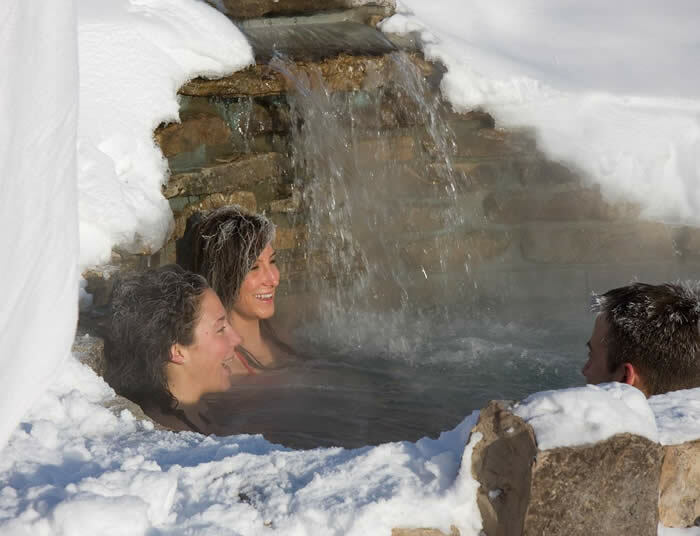 Enjoy an introduction to the pleasures of dog sledding, then relax and while away the hours at a Nordic spa nestled in a beautiful wintery setting.